Managing our reputations, as the LinkedInFluencers say. Wouldn’t wanna cross those guys. It’s usually about trying to say something unique, trying to be something unique. Of course we can’t avoid being unique but we don’t think we are, so we keep trying. An easy something different can be to ask the other a question. It must be honest and sincere. Prolly we’ll have to work at it. To say nothing, which is different — that second option — means we can talk but only to comment on what the other says, not ourselves. This isn’t about being coy or combative, shy or manipulative. It’s the studied studying of the other. 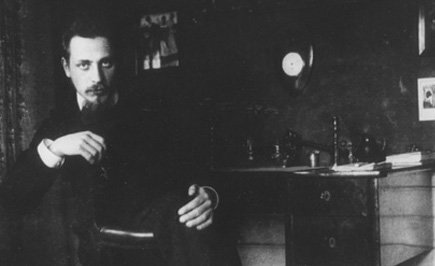 Rainer Maria Rilke said it was a marvel (or German to that effect) two people ever truly communicated, that one ever knew anything, or cd know anything, about the other. And he’s talking about people in love — people who want to know the other. In any event … a marvel. Knowing the other — making the other another — turning someone in your mind and heart from utterly alien to one who … isn’t … who is still an other into another — to one we come truly to want to know about … to know truly about … to know about truly … is a marvel, accomplished by wonder. Treat it — and them — as one.